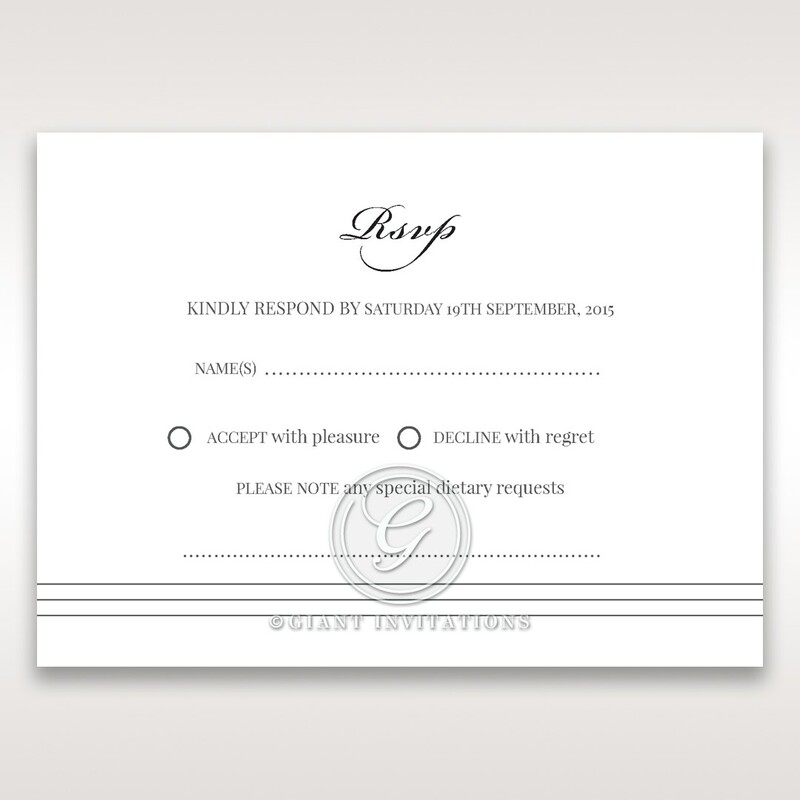 Stylish and traditional, this wedding stationery is truly a classic RSVP card to pair up with your invitations. It’s the best choice for couples who do not want all the fuss. Simply perfect the way it is, you can still customise this creation by changing the default wording colour from black font to wine red, dark brown, dark grey or Prussian blue to suit your wedding theme. 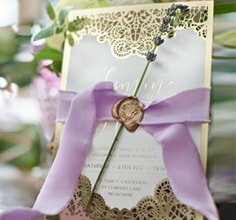 For a more glamorous appearance, think about having the RSVP header foil stamped in silver at an extra cost for luxurious shimmering finish to match the richness of the raised ink used for the main wording. Help save time for your guests to respond by having your address printed on the envelopes so that they can just mail it back to you without any trouble.